Home » Blog » Komodo 9.2 Released: Docker & Vagrant Integration, Package Installer, and much more ..
Komodo 9.2 Released: Docker & Vagrant Integration, Package Installer, and much more ..
Only two months after releasing Komodo 9.1, we’re excited to announce yet another release, this one even bigger and better than the last. We’ve been incredibly busy these past 8 weeks and are super excited to share all the latest additions and changes with you. 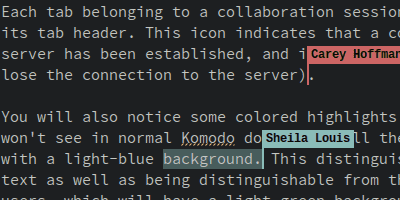 Why tell you what’s new in Komodo 9.2, when I can show you? Komodo’s Commando now allows you to work with Docker and Vagrant directly within Komodo, thus decreasing disruptions and wasted time. You can easily see your instance names and commands directly from the Commando panel, negating the need to be intimately knowledgeable with Docker and Vagrant. Collaboration has been given a significant face-lift and is now a joy to work with! Most notable are the new caret flags, indicating what your colleagues are editing. Code better with your teams with our updated collab tool. Automatically check for spelling errors in real-time, in-line while writing code. Spelling errors can be easily found and corrected within the editor. This uses [Mozilla language packs](https://addons.mozilla.org/en-US/firefox/language-tools/)awes, so you can add support for your preferred language by installing the relevant language pack in Komodo. A new package installer allows packages such as add-ons, color schemes, skins, keybindings, and languages, to be installed directly from inside Komodo, providing easier access to new functionality and allowing developers to quickly turn to community contributions for specialized functionality to meet project requirements. 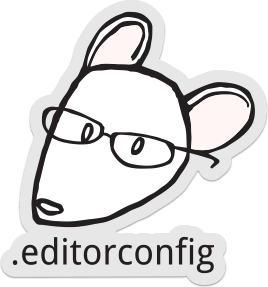 We now offer EditorConfig integration, allowing developers to define and maintain consistent coding styles between different projects, editors and IDEs. No more worrying about details like consistent indentation across your project when working with multiple developers. Now with a single keystroke, you can hide non-essential UI elements to pare down the Komodo UI and focus solely on your code. This is ideal if you like a clean, minimalistic editor but sometimes just NEED to access some of the more advanced and crucial UI elements. The UI is now even more clear (particularly when using dark color schemes). Minor as it may seem, those small bevels and fuzzy borders were taking away from an otherwise perfect experience. Again, a BIG thank you to all of our contributors. I’ve already named some of them (and their contributions) in [our pre-release blog](http://komodoide.com/blog/komodo-9-2-pre-release-ready-for-testing/) but you deserve a mention here as well. You are all awesome!